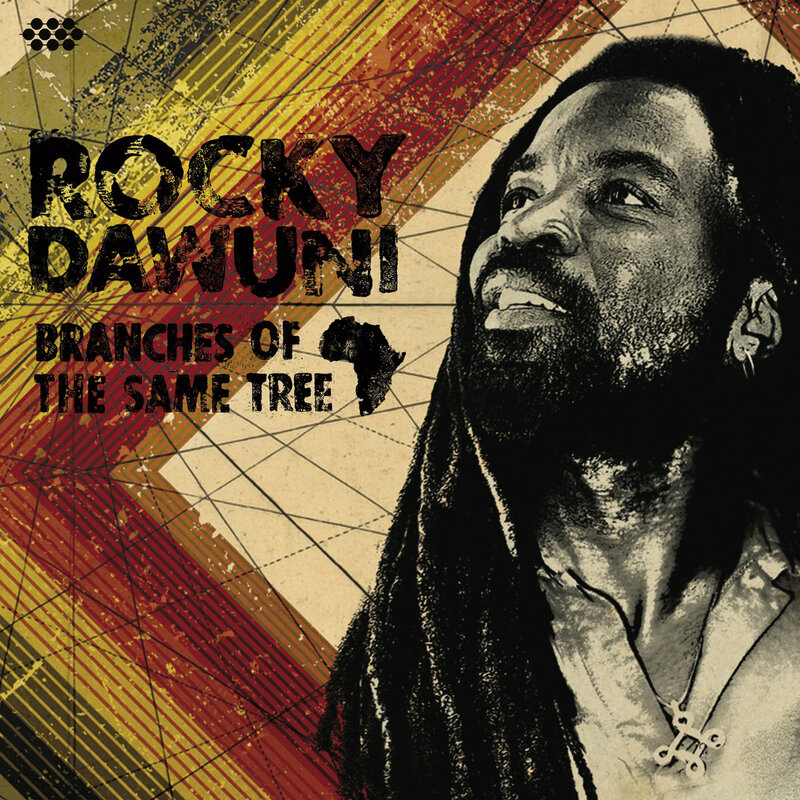 Rocky Dawuni's latest album, Branches of the Same Tree was nominated for a GRAMMY for Best Reggae Album. Dawuni is the first musician from Ghana to ever receive a GRAMMY nomination. He is also only the second African to be nominated in this category. “Shine a Light”, by Musicians For Microcredit Ambassador Rocky Dawuni, combines the sounds of New Orleans with reggae and samba to create an anthem of positivity. The song and video celebrate the power of our shared humanity and the importance of being courageous to tap into your own power of expression. In a time of great uncertainty in our world, “Shine a Light” reminds us to uphold the positive and recognize that we are all agents of hope and change. Rocky Dawuni was nominated alongside modern Jamaican music greats Luciano, Barrington Levy, Jah Cure and Morgan Heritage, who took home the award. Dawuni stated, "Much like the blues, reggae is the root of so much popular music. I am proud to contribute to its grand tradition and legacy. As my album title states, we are all 'branches of the same tree' and I am honored to represent Africa and stand alongside my Jamaican brothers." Dawuni released his 6th album Branches of the Same Tree (Cumbancha) on March 31, 2015 to rave reviews worldwide and the album landed on Billboard’s Top 10 Reggae Chart. He has since toured the world with memorable performances in Canada, Germany, Denmark, The Netherlands, Iceland, Greenland, the UK, and across the USA, as well as taking part in prestigious performances at the Grammy Museum’s “Concert For Social Justice” with David Crosby, Melissa Etheridge, Tom Morello and Jackson Browne and the “Under One Sky” concert (with ONE.org) during the UN General Assembly 2015 to celebrate the announcement of the Global Goals in New York City. Influenced by the soulful beats of Afrobeat legend Fela Kuti, the positive messages and deep grooves of Bob Marley and the infectious, sing-along anthems of Michael Franti, and K'naan, Rocky Dawuni's songs straddle the musical boundaries between Africa, the Caribbean and the US to create a universally appealing sound that unites generations and cultures. We are happy to announce that Cumbancha artist Rocky Dawuni's latest album, Branches of the Same Tree, has just been nominated for a GRAMMY in the Best Reggae Album category. Dawuni, the only non-Jamaican artist in the running this year and the first Ghanaian to be nominated, is up against some of the heavyweights of modern reggae including Morgan Heritage, Luciano, Jah Cure, and Barrington Levy. It is also marks the first Cumbancha album to receive a GRAMMY nomination. Reflecting on the prestigious nomination, Dawuni says that he feels, "truly honored and at the same time humbled. I’ve always focused on giving my best in my work and it’s a good feeling to know that it is being appreciated. I am grateful for the recognition. Branches of the Same Tree is about stressing the common roots that we all share in this human family. It inspires the listener to aspire to a place of hope. It’s about having faith in the power of compassion and oneness." Thanks and congratulations to Rocky for this well-deserved recognition! CLICK HERE TO WATCH "NAIROBI"
Filmed in Nairobi, Kenya, the video offers a tribute to a city, country and people. Cumbancha recording artist Rocky Dawuni releases his new music video for the song "Nairobi " today in partnership with OkayAfrica.com. Follow this link to view the video. The song "Nairobi" appears on Dawuni's acclaimed 2015 album Branches of the Same Tree. Filmed in Kenya's capitol city, the video is an ode to this "beautiful city in the sun" and a plea for peace and celebration of shared destiny. The video captures a picturesque portrait of iconic and historic monuments of Nairobi as it explores the everyday life of the city. Dawuni serves as a traveling minstrel, journeying across neighborhoods, bearing a message of goodwill. International music star and humanitarian activist Rocky Dawuni straddles the musical boundaries between Africa, the Caribbean and the U.S. to create an appealing "Afro-Roots" sound that unites generations and cultures. Filled with uplifting and irresistible songs, Rocky's sixth album, and first on Cumbancha, blends inspirations from his diverse experiences while expanding on his identity as an artist, a proud son of Africa and as a true world citizen. Cumbancha will release Branches of the Same Tree worldwide on March 31st, 2015. Inspired by the soulful beats of Afrobeat legend Fela Kuti, the positive messages and deep grooves of Bob Marley and the infectious, sing-along anthems of Michael Franti, K'naan and Matisyahu, Rocky Dawuni's songs blend elements of reggae, Afrobeat and global pop into an enticing new sound. The songs on Branches of the Same Tree also reflect influences of New Orleans funk, Brazilian samba, even the lilting sounds of Hawaiian ukulele, seamlessly integrated into a unique and approachable style. The album features appearances by an all-star lineup of guest musicians, including veterans from Michael Franti and Spearhead, Steel Pulse, Ben Harper and The Innocent Criminals and Ziggy Marley. Already a superstar in West Africa with a devoted international fan base, Branches of the Same Tree promises to bring Rocky's music to even wider audiences around the world. Born in Ghana and based in Los Angeles, Rocky is a galvanizing performer whose infectious grooves and dance-inducing anthems have consistently excited fans. Blessed with easy-going charisma, Rocky has performed and collaborated with Stevie Wonder, Peter Gabriel, Bono, Jason Mraz, Janelle Monae and John Legend, among many others. Named one of Africa's Top 10 global stars by CNN, he's showcased his talent around the world at major festivals and prestigious venues such as The Kennedy Center in Washington, D.C. and The Hollywood Bowl in Los Angeles. Rocky's eloquence, cultural diplomacy and successful melding of music and activism have led him to become a passionate spokesperson for various global causes. He has joined forces with Product (RED), UNICEF, the Carter Center and the UN Foundation. In 2012, Rocky was appointed the Tourism and Cultural Ambassador of Ghana and World Ambassador for the Musicians Union of Ghana. The same year, he was named a United Nations Foundation Ambassador for the Global Alliance for Clean Cookstoves, alongside actress Julia Roberts and chef José Andrés. According to Rocky, "Branches of the Same Tree was inspired by the songs and melodies I have heard over the years during my travels. It contains snippets of my personal observations of various cultures and global musical developments." The album's title reflects Rocky's belief that recognition of our shared humanity is the key to peaceful coexistence among all peoples of the world. "When we recognize we are all branches of the same tree we begin to see our common roots," argues Rocky, "this is the cornerstone of true Oneness." 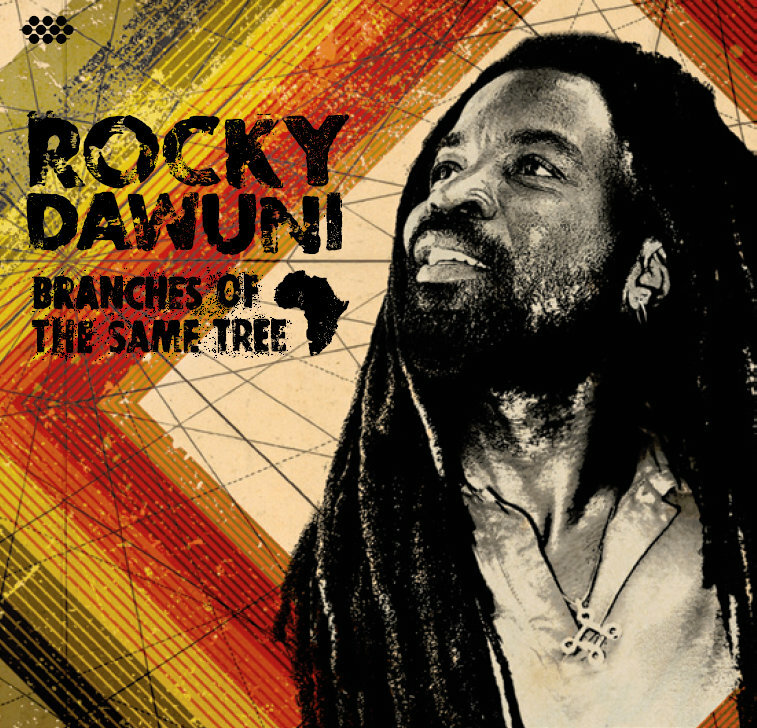 "African Thriller", the first single from Rocky Dawuni's forthcoming Branches of the Same Tree (out March 31st, 2015) embodies a unique and accessible "Afro-Roots" sound: a sumptuously funky blend of soul, pop, Afrobeat and reggae grooves. With his internationally recognized charisma and reputation as a dedicated activist, Rocky is a galvanizing performer and now he wants you to remix his celebratory track! The “African Thriller Remix Contest” is your opportunity to express yourself through Rocky Dawuni’s music in whatever genre of your choosing. All are encouraged to enter and winners will be selected directly by Rocky. Be as creative as you can and transform Rocky’s music! In his own words: "My song 'African Thriller' represents a cultural fusion of musical styles and challenging boundaries. I believe it lends itself to exciting and interesting sonic interpretations." This month, the electrifying video for “African Thriller” features DJ and Producer Jeremey Sole's remixed version of the song. Sole, an acclaimed host on Los Angeles' taste-defining radio station KCRW has previously remixed tracks for Femi Kuti, David Bowie, Thievery Corporation and Quantic among others. Watch the video here. Full downloadable stems of “African Thriller” can be downloaded directly here. And are available on Cumbancha’s Soundcloud page here. All details including prizes, rules, submission guidelines and deadlines can be found con the contest's page here. CLICK HERE TO WATCH "AFRICAN THRILLER"
The electrifying video for Rocky Dawuni's latest single goes live on the week of the 40th Anniversary of Muhammad Ali and George Foreman's "Rumble in the Jungle"
Cumbancha recording artist Rocky Dawuni has released his new music video for the hit single "African Thriller" in partnership with Entertainment Weekly. The timing of the video launch occured just a few days after the 40th anniversary of the legendary "Rumble in the Jungle" boxing match between Muhammad Ali and George Foreman, and the video draws inspiration from that momentous event. At a time when news about Africa is dominated by the Ebola crisis, "African Thriller" offers a positive message celebrating African strength, unity and indomitable spirit. Follow this link to view the video on EntertainmentWeekly.com.